The memo, written by Leon Panetta noted that, "the timing, operational decision making and control are in Admiral McRaven's hands." Approximately one year after the assassination of Osama bin Laden, a memo written by former CIA Director Leon Panetta has been obtained, revealing that President Obama was not, in fact, in charge of operation strategy in the hunt for the terrorist mastermind. Panetta received a call from National Security Officer Tom Donilon confirming that President Obama had made the decision to "proceed with the assault" on bin Laden's compound in Pakistan after assessing a risk profile. However, the memo, released by Time Magazine, states that "the timing, operational decision making and control are in Admiral McRaven's hands." "The direction is to go in and get bin Laden, and if he is not there, get out," read the memo. It does not clarify whether the intention was to kill bin Laden or to capture him. However, the memo also shows that President Obama was not in charge of operation strategy as the mission was being carried out. Rather, Panetta noted that, "the timing, operational decision making and control are in Admiral McRaven's hands." “The approval is provided on the risk profile presented to the President. Any additional risks are to be brought back to the President for his consideration," said the memo. President Obama has said that the decision was one of the “gutsiest calls of any president in recent memory.” However, it seems that the “gutsy call,” was actually made by Admiral William McRaven, head of the Joint Special Operations Command. Two days after the memo was written, bin Laden was assassinated by a team of Navy SEAL commandos. 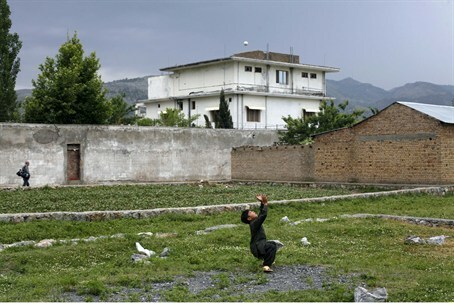 Following the raid, Pakistan's government claimed it had no knowledge of bin Laden's presence in Abbottabad. However, speculations have questioned how the terrorist's presence in the compound could have been undetected by Pakistani officials when Abbottabad is home to a major Pakistani military base and only about 30 miles from the capital city of Islamabad.